Colorado has been a celebrated destination of choice for avid hikers, skiers, and foodies. Since state-wide referendum approved increased tourism marketing spending in 2005, Denver has been breaking visitor records for twelve consecutive years, outpacing national sector growth threefold. Now, the Mile High City is positioning itself as a major cultural hub, beyond the Rockies. Here are three new reasons to set your sights on Denver. Come for the high fashion, enjoy contemporary art, stay for haute cuisine. 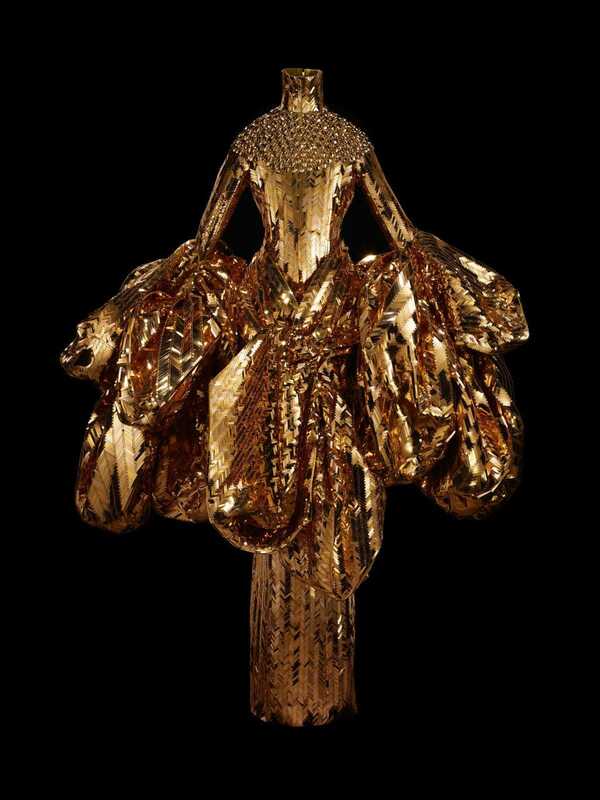 John Galliano for Christian Dior, Gold embroidered triple organza jacket and skirt. Haute couture Spring-Summer 2004. Dior Héritage collection, Paris. Denver Art Museum has hosted a 70-year retrospective of Christian Dior’s impact on global fashion. Dior: From Paris to the World was curated by Florence Müller, the Avenir Foundation Curator of Textile Art and Fashion. 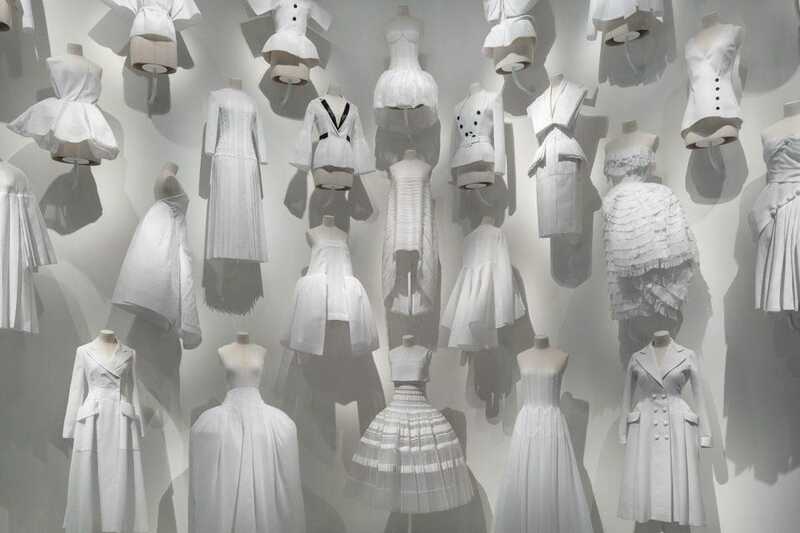 This was Müller’s sixteenth Dior exhibition since 1987. Turns out, Denver has had a foothold in the haute couture world all along. Thanks to this professional relationship, about two-thirds of the dresses have never been displayed before! Featuring over 200 garments, accessories, original drawings, and other historical material, the exhibition focused on how Dior’s successors Yves Saint Laurent, Marc Bohan, Gianfranco Ferré, John Galliano, Raf Simons, and Maria Grazia Chiuri continued his visionary legacy. While the House of Dior has built one of the biggest archives in the industry, tracking many original pieces decades later was no small task that took two years. “Fashion is still seen as a secondary subject in museums. In this exhibition I’m presenting Dior as the paramour of the globalization of fashion,” said Müller. It was the phenomenal success of the earlier Dior blockbuster in Paris that prompted the idea to bring it to the United States for the first time. Denver may have seemed an unlikely stage for such a grand debut, but its fashion scene had been undergoing a transformation in recent years. Rocky Mountain College of Art and Design is cultivating a new generation of talent. Its alumni are becoming more visible in the style community. Denver Fashion Week, currently in its latest edition through March 31, is one of the fastest growing American fashion platforms. It showcases dozens of local designers vying for national spotlight. Some, like Taylor Ross of Ricky King Clothing or Aldo El Creator of Dark Denim, are attracting a cult fashionista following thanks to their unconventional streetstyle take on Western-wear. The Dior exhibition heads to Dallas, Texas next. However, there’s plenty of cool fashion to catch in Denver. Denver Art Museum is now hosting Treasures of British Art. This impressive new exhibition spans centuries of classical painting since the 1400s. However, it is contemporary art that is putting Denver on the art lovers map. The Dairy Block micro-district is radically transforming the city’s art scene. 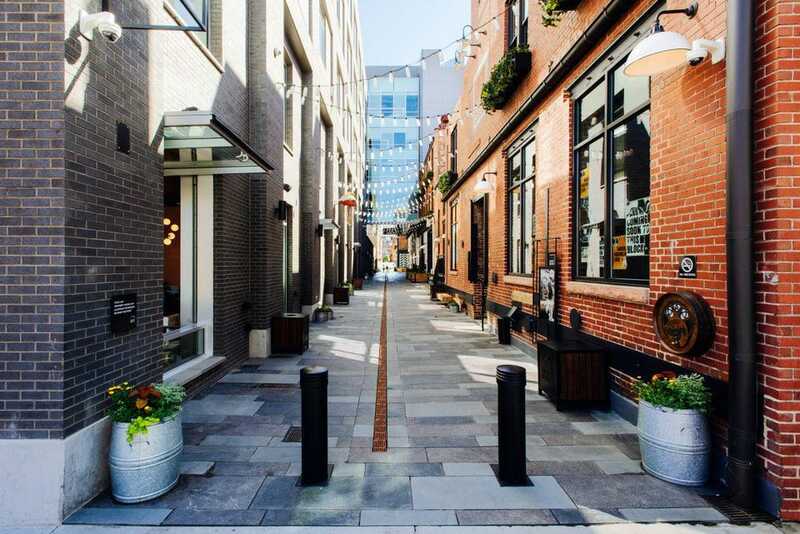 Located in the heart of Denver’s historic LoDo neighborhood, home to popular restaurants and boutiques, it serves as a walkable art gallery. Few urban locales have successfully managed such engaging infusion of public creativity. The pedestrian alley that runs between Blake and Wazee and 18th and 19th Streets is curated by NINE dot ARTS. The block showcases pieces by thirty-one artists; each with some meaningful connection to Denver itself. Artists Sandra Fettingisand Michael Ortiz pay homage to kind of “classic” street art murals. A collective Ladies Fancywork Society that has been “terrorizing your neighborhood with garish yarn crimes since 2007” is responsible for fun crochet installations. An interactive display by Nikki Peel allows visitors to activate music and lights by turning the cranks connected to butter barrels. The illuminated pathway by Jen Lewin brings technology and art into public space. There is a type of artwork for almost every taste. The surrounding area with the Milk Market food hall, The Maven Hotel and the Office Lobby is home to 715 pieces of public art, including 275 site-specific commissions! Everywhere you go throughout Denver, it’s not just the dazzling mountain skyline that is fascinating to look at. It’s not all steaks and BBQ out West anymore! The culinary revolution sweeping the nation has a stronghold in Denver as well. New establishments and varieties of cuisine are flourishing. Perhaps, the best place to witness the trend is the 100,000-square-foot Zeppelin Station in RiNo’s art district. Its immersive “Made in the City” program allows visitors to experience culture of other places without having to leave their own. It’s like the Sister Cities concept, but with delicious food! The first showcase was Montreal, followed by Reykjavik (now through April 10), the capital of Iceland, with Mexico City confirmed as the next gourmet destination. According to Mathieu Mudie, Head of Retail Experience, dinning customers aren’t the only ones benefiting from this. By bringing in international chefs, Zeppelin affords its kitchen staff the chance to work and grow professionally alongside their global colleagues. Developer Justin Croft found huge potential for growth in Denver. “I was drawn to come West because of such an emerging market. The food and beverage and retail scene is really growing here,” he said. 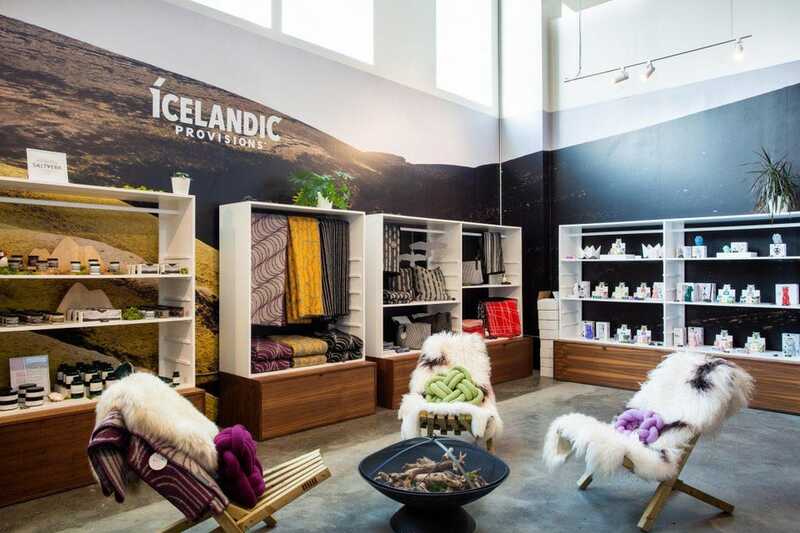 The “Made in Reykjavik” edition has received a lot of support from Icelandic businesses, including Iceland Air and Iceland Naturally. “The guys from Zeppelin Station visited us back in Iceland few months ago and told us about the project, which immediately grabbed our attention,” said Chef Gísli Matthías Auonsson of a Michelin starred Skál!. “We run a small place in Iceland’s first food hall, but although we are a small place we serve a lot of people. 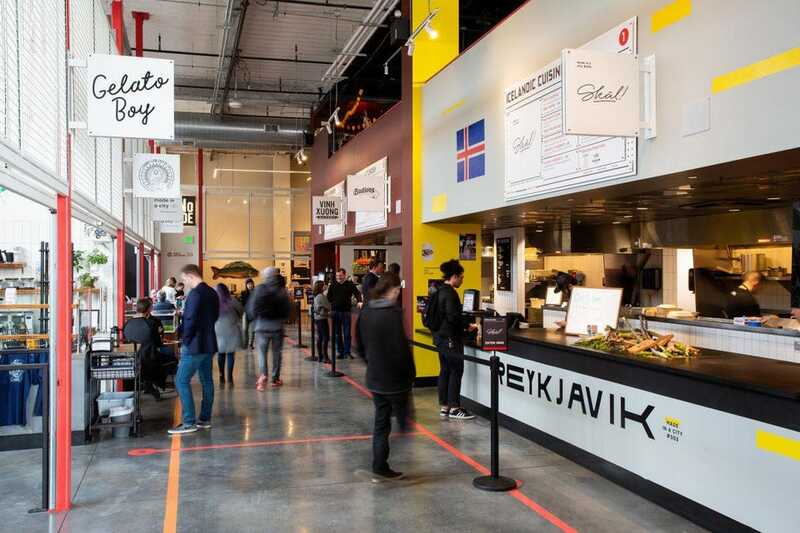 We source as much as we can locally and work with the seasons, and that was also the idea when we got the opportunity in Denver – use local produce but still combine it with Icelandic spices and methods. And we get fresh Icelandic fish shipped every day. I think you can really get the feel of Iceland by just visiting Zeppelin Station!” Food really does bring people together. Most of other vendors featured at Zeppelin Station are locals with two-year contracts to ensure quality and diversity of cuisines available at any given time. Fridays bring pop-up bars, tattoo artists and local bands for one of the liveliest atmospheres in town. “People coming in here are really stoked about everything,” notes Mudie. 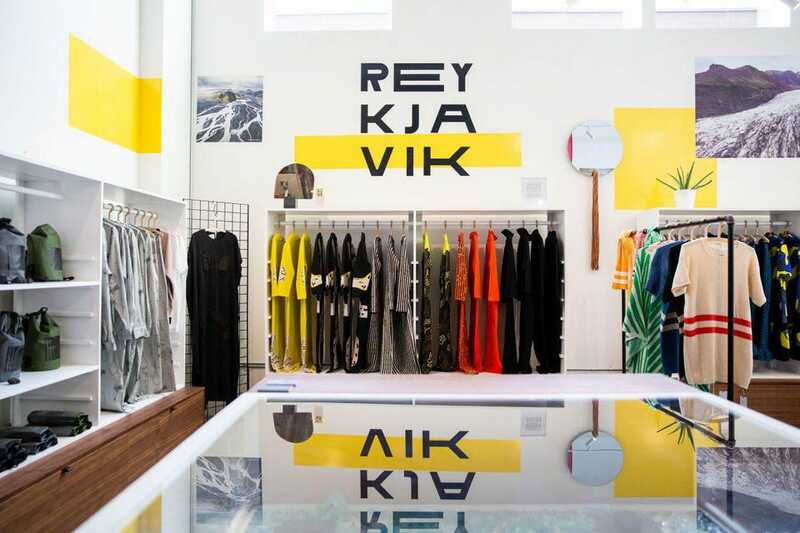 This winning combination of high fashion, street art and global cuisine that mark Denver’s rise as an up-and-coming North American fashion tourism destination.